Chiropractic is not a treatment for asthma. However, many who suffer from asthma report improvement by receiving chiropractic care. There is research that suggests a link between the spinal column, the nervous system and the respiratory system. This may be why many have mentioned improved breathing by consulting our practice. Asthma cases seem to be rising at an alarming rate. Some think it’s due to a combination of factors, especially the increase of chemicals in our environment. These days, airtight, super-insulated homes can trap chemicals, molds, formaldehyde and other irritants. Even the increasing use of cesarean births, antibiotics and our fascination with germ killing have been cited. If these factors were the only issue, why wouldn’t all children living in the same house and breathing the same air, suffer equally? Your diaphragm is the primary muscle used for breathing. Nerves that control each breath leave your brain and exit the spinal cord in the mid-neck (C3, C4 and C5) area. Spinal problems in this area can have a profound affect on the nerve supply to the diaphragm. Reducing subluxations in the spine may help restore proper nervous system control of the lungs and improved function can begin. In fact, research published in the Journal of Vertebral Subluxation Research documented the results experienced by 81 children with asthma who received chiropractic care. The two-month study revealed that those under care saw a 45% decrease in the number of “attacks” and that 31% of the subjects voluntarily chose to decrease their medication. All this from improved nervous system control of the lungs! 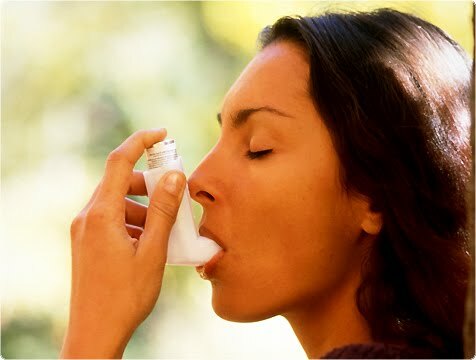 Chiropractic care may help reduce the frequency and severity of asthma attacks. Naturally, we can’t make any promises, however, if your son or daughter has subluxations, and they are the cause of their symptoms, many have found relief with conservative chiropractic care. Call our practice or email us and let’s discuss the possibilities and get your questions answered.